Continuing to support corrupt governments will never help defeat terrorism; however, addressing the problem will take political will, Abdallah Hendawy, coauthor of the latest Transparency International report, told Sputnik. In an interview with Sputnik, Abdallah Hendawy, coauthor of the latest Transparency International report, focused on ways to root out terrorism, saying that maintaining ties with corrupt rulers is an ineffective way of dealing with the global threat. Hendawy wrote the Libya section of the report. Earlier, Transparency International warned that Daesh (ISIL/ISIS) will never be destroyed unless the corrupt conditions that help the groupthrive are addressed. The statement came as part of the international non-governmental organization's latest report, titled "The Big Spin." In the document, Transparency International accuses the governments of the US and several European countries, including the UK, of ignoring local corruption as a major driving force behind the spread of religious extremist factions. The report argues that Daesh took advantage of contempt for corrupt local rulers in its efforts to radicalize and recruit people. The terrorist group presented itself as an ideologically-preoccupied antidote to purely self-interested regional authorities. According to Transparency International, the failure of policymakers to grasp this undermines international efforts to tackle the rise of extremism. It goes on to call on Washington and the EU countries to step up the fight against corruption as well as press harder for accountability, particularly with respect to military spending. Speaking to Sputnik, Abdallah Hendawy said that Daesh terrorists adopt multiple tactics in a bid to attract new recruits by using loopholes in a country's corrupt government system. "They say that 'if you join us, we are going to bring justice and eliminate corruption'," Hendawy said, calling it "one of the methods of recruitment." On the other hand, he went on to say, the terrorists use this corrupt system, especially in Libya and Egypt, to sustain themselves. Asked about what should be done to attract the world's attention to the issue of corruption in the Islamic world, Hendawy said "the Western governments currently prefer to deal with easy dictators [in regional countries] rather than actually tackling the real issue." "If we continue to stand by dictators, there is no way that we are going to fight terrorism," he pointed out. Libya is probably not the best example of this phenomenon. It was ruled for over three decades by Muammar Gaddafi, who inherited one of Africa's poorest states and gave its citizens among the highest standards of living in Africa despite often strained relations with the US and Western Europe. However, his condemnation of corruption has been applied aptly elsewhere: Sarah Chayes of the Carnegie Endowment for International Peace wrote in 2016 that corruption in countries like Afghanistan, Iraq and Nigeria "is helping to drive many people into the folds of extremist movements and indeed lies at the root of many of today's security crises." These countries are all democratic; the governments of Iraq and Afghanistan are essentially American projects. Hendawy addressed what such governments must do in order to reduce corruption in the fight against Daesh and other such groups. "The national governments should show political will when combating corruption. If they do not have this political will, they are not going to succeed. It is worth mentioning that extremism is fueled by so many factors, and corruption is of course one of the central ones," Hendawy said. The Transparency International report pointed out that while the international community was trying to tackle the ideology of terrorist groups, the material issue remained unaddressed. The organization stressed that the "failure of corrupt elites to provide security and justice for their citizens" significantly contributed to people's readiness "to take up arms or support insurgents and extremist elements." 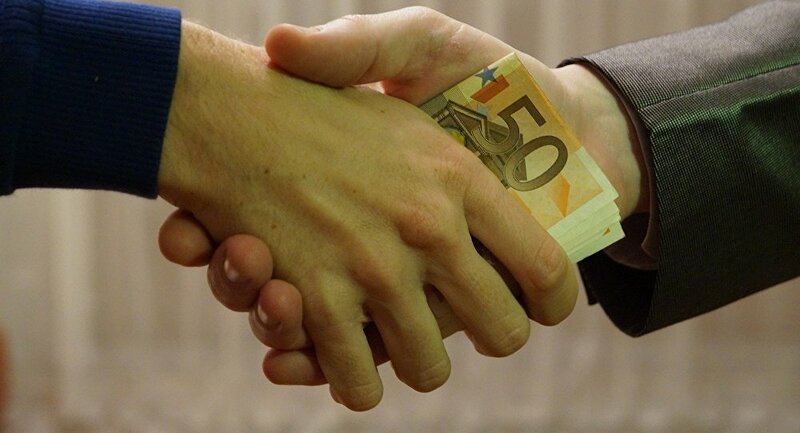 In light of this, Transparency International urged governments to increase efforts aimed at curbing corruption.